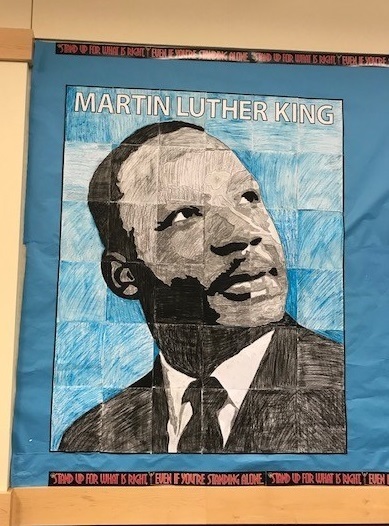 February was Black History Month, and in classrooms throughout the month, Ridgefield School District students received a multitude of instructional activities that teachers incorporated into content lessons that explored African-American experiences, culture and contributions that made an impact on the nation’s history. At Union Ridge Elementary School, kindergartners learned the value in being different in The Crayon Box That Talked a story by Shane Derolf. First-graders read about notable African-Americans and learned to play “Mancala”, a game with African origins. 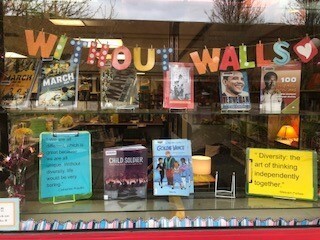 Second- and third-graders focused on the lives of Martin Luther King, Jr., Rosa Parks, and Ruby Bridges, African-American athletes who competed in the Olympics, and African-American women who changed history in spite of great odds from Chelsea Clinton’s book, She Persisted: 13 American Women Who Changed the World. Fourth-graders read paired-texts about Martin Luther King, Jr. and Ruby Bridges. Fifth-graders focused on famous African-American scientists, studied Martin Luther King, Jr. poetry and read articles about Black History Month. Sixth-graders viewed a video on black history. In music class, students learned to sing the African spiritual, “This Little Light of Mine” and songs related to the story, Follow the Drinking Gourd by Jeanette Winters. A display at Union Ridge Elementary honors notable African-Americans during Black History Month. 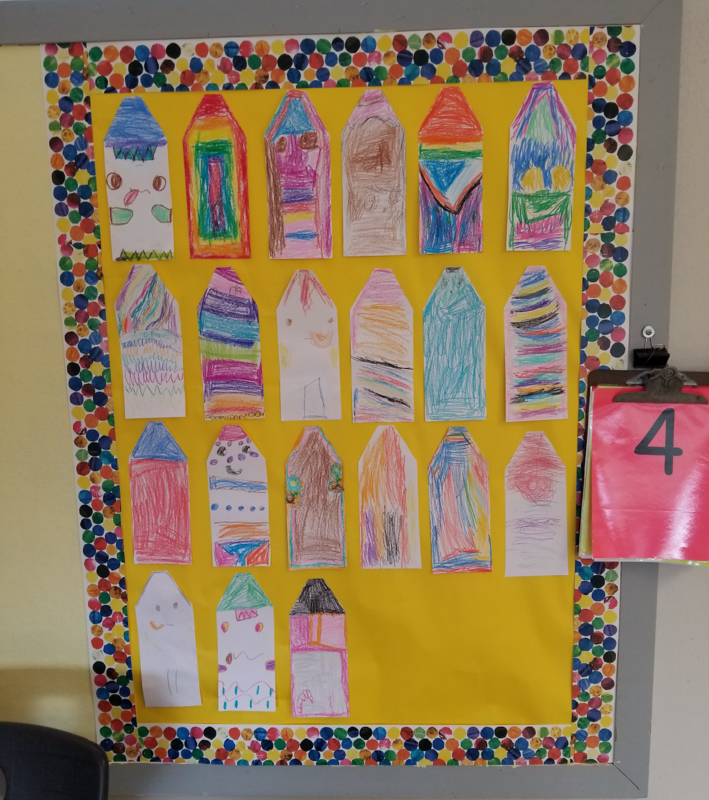 Artwork from Andrea McCain's Kindergarten classroom at Union Ridge Elementary. Inspired from the book The Crayon Box that Talked by Shane Derolf. At South Ridge Elementary School, kindergartners learned about civil rights by listening to talks by community members. First-graders read about Martin Luther King, Jr., Rosa Parks, Ruby Bridges, Sojourner Truth, and Harriet Tubman. Third-graders studied the Civil Rights movement and read What Color Is My World: The Lost History of African-American Inventors by Kareem Abdul-Jabbar and Raymond Obstfeld. Fourth-graders learned about segregation, slavery, the Underground Railroad, equality in American schools, the Civil Rights movement and peaceful protests. They also wrote letters to Dr. King informing him of how things are different today. Fifth-graders studied the March on Washington and read the novel March: Book One by John Lewis, then wrote narratives from a first-person perspective of a march participant. They also researched influential African-Americans. Sixth-graders wrote argumentative essays on different events of the Civil Rights movement. In art classes, South Ridge’s students viewed the works of notable African-American artists such as The Migration Series No. 57 by Jacob Lawrence, The Banjo Lesson by Henry Tanner, She-Ba by Romare Bearden, and Hope Street: Church Mothers by Marie Johnson-Calloway. 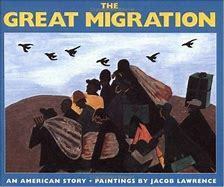 In addition, they read The Great Migration: An American Story by Jacob Lawrence. Students in K-3 learned about the life of famous abstract female artist, Alma Thomas, and students in grades 4-6 learned about Jean-Michel Basquiat, a famous graffiti artist. 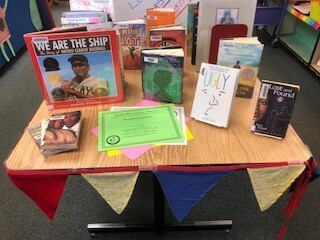 At View Ridge Middle School, a themed display highlighting Black History Month was set up in the library. English classes presented book talks about diverse authors, and students learned about the Coretta Scott King Award. French students here and in the high school learned about French culture, history, authors, musicians and artists in francophone countries in Africa such as Burkina Faso and Cameroon. STEM classes viewed and discussed the movie, Hidden Figures. Students in history classes read Stolen Into Slavery: The True Story of Solomon Northrup, Free Black Man by Dennis and Judith Fradin and learned about abolitionists and civil rights leaders. Math classes researched famous African-American mathematicians, and science classes focused on the life and contributions of Henrietta Lacks to HeLa cell research and gene-mapping while also learning about the contributions of other African-American women in science, engineering and technology. Themed displays at View Ridge Middle School. At Ridgefield High School, teacher-librarian, Jill Guccini, presented information on diversity in books. Digital Photography students studied photos from the Civil Rights movements and their impact on society. 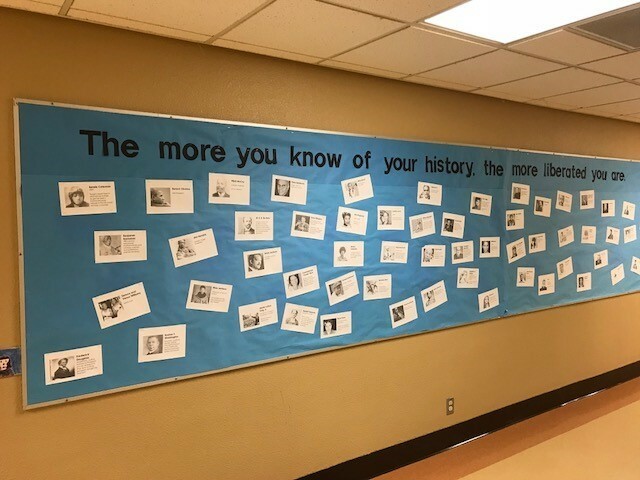 Students in U.S. History class created a virtual museum of the “Roaring Twenties”, connecting the influence of African-Americans on the culture and studied the life of Martin Luther King, Jr. Theater students acted out poems celebrating black history and culture. English classes researched African-American leaders and presented the information in class. In Special Education, students read and discussed articles about African-American musicians that included Billie Holiday, Chuck Berry, Aretha Franklin and Stevie Wonder. In Physical Education, students learned about African-American athletes in a unit about breaking race barriers. Art created by Ridgefield High School students depicting the unique style of African face jugs. RHS art students researched stories, struggles, and successes of inspiring African-Americans of their choosing and created a piece of art around them. Students in Introduction to Art classes learned about the history of African face jugs, a distinctive pottery style transported to America by African slave artists. 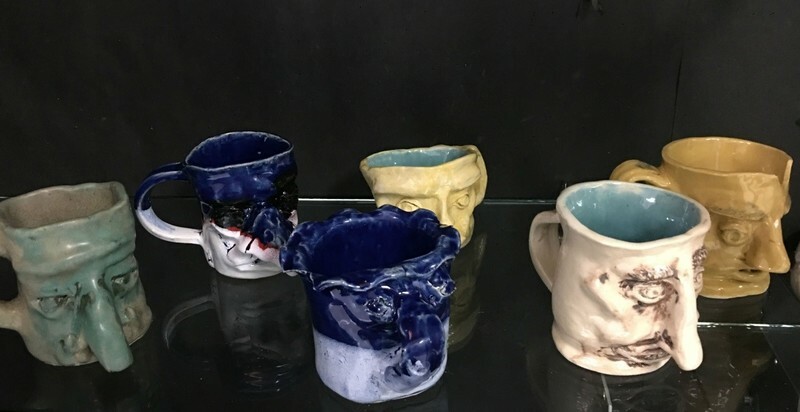 Students created face mugs in the unique style inspired by these face jugs and wrote a reflection of their artwork, citing cultural connections and differences across time and location.